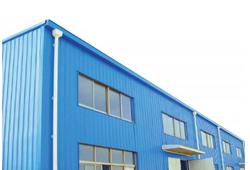 Backed by rich industry experience, we are engaged in offering patrons a qualitative gamut of Prefabricated Buildings that are widely used around the globe. We offer qualitative building that are manufactured by an expert team of professionals making optimum utilization of quality basic material, advance technology and modern tools. We are an illustrious organization that is engaged in manufacturing & Design Warehouse Sheds that are highly demanded by factories worldwide. 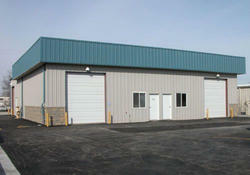 We use the good quality raw material to fabricate these sheds. These sheds are easy to install and are available in customer's given specification to make them avail the desired product. 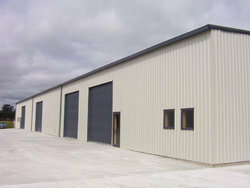 We are manufacturing a wide range of Roofing Sheets for Pre Engineering building. We offer all types of sheets for Pre Engineering building & Sheds as per the needs and demands by the society of architects, engineers and builders. These compact polycarbonate sheets help in providing a smart way of minimizing the consumption of energy for artificial electrical lighting in several application areas. These are highly durable and provide longer service time. Our clients can avail these from us at very nominal prices. 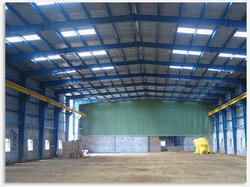 We are manufacturing a wide range of Roofing Sheets for Pre Engineering building. We offer all types of sheets for Pre Engineering building, Pre Engineered Building & Sheds as per the needs and demands by the society of architects, engineers and builders. These compact polycarbonate sheets help in providing a smart way of minimizing the consumption of energy for artificial electrical lighting in several application areas. These are highly durable and provide longer service time. Our clients can avail these from us at very nominal prices.